Believe it or not, another book month is coming to an end! This means it is the fascinating point in time where we can see which titles will be in the running for the next great read in our Online Book-Club journey!! Honestly, the choices we have had so far have been fantastic, I have found myself looking forward to opening the titles we have chosen and delving into Books that I may not have read otherwise. Is there a book that you have been dying to read? Is there a title that you think everyone would enjoy? Do you know a title that would be a perfect Book-Club read? 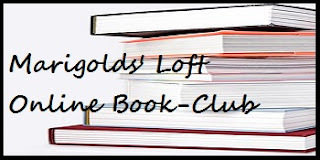 If you answered yes to any of the above questions, I would love to extend a warm invitation for you to join in the Marigolds' Loft Online Book-Club. For the members of the club, I have opened a thread for you to add your choices for our next amazing read - you can get to the thread HERE. All choices added to the thread will be put to the vote on 21st - 27th April, so take a moment and add your titles so that they can be included in the upcoming vote. Hope you all are having a relaxing weekend. Great stuff - 11 times! LOL - Will you add it to the thread as your choice or shall I?